Digital content is any kind of content that is produced in the form of digital data. Digital contents are either stored digitally (eg: virtual spaces like google drive, dropbox) or in a physical storage (eg: hard drive, dvd) using a specific format. Digital content can be produced from actual video recording footage (which is often requires video editing), recorded live events, live streaming, and much more. We have the expertise and highly creative digital content provider team that will help you to produce distinctive and engaging digital contents which build a bridge connecting your brand to your customers. We specialize in producing real-time high quality contents for your company, no matter what industry you’re in! We have successfully created and delivered contents to many different companies in different industries spanning from automotive, lifestyle, fashion, insurance and even broadcasting companies. With the ability to produce high quality, multi-language versions of digital content, Cyberbang is dedicated to help you capture attention and relaying relevant information of your business to your potential customers, using the most creative and engaging digital contents. We are the digital content provider for big corporations like Proton Cars, Celcom Axiata, & more. Below is a few example of companies that we have helped to produce Digital Contents for their Website, YouTube Channel, Facebook Video Advertisement, Mobile Apps & more. Check it out! Proton is the Malaysia National Car Manufacturer. 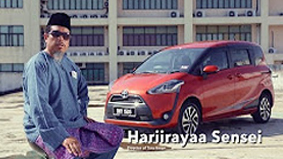 Proton started its operation in 1983 and since then, has produced many cars under its brand, like Proton Saga, Proton Perdana, Proton Persona & Proton Wira just to name a few. With the aim to get closer to the hearts of their target market segment, Cyberbang has been appointed as one of the digital content provider for Proton since 2016 to date. Being Malaysian, we are very proud to have this opportunity, not only able to serve the national car manufacturer but also spread awareness about safe driving among fellow Malaysian. 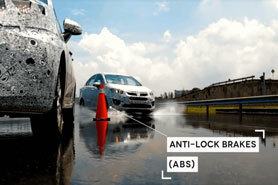 Safety 360 is a series of videos focusing on Product Features, which in this case, we want to spread the awareness of proton cars safety features such as Assisted Breaking System (ABS), Electronic Stability Control (ESC), Good Handling, Comfortable and Joyful Driving Experience with Proton Cars. Product Features – Let your prospect / audience know about your features. Brand Awareness – Spread your brand or product to your target audience. USP Highlight – Grab attention with your Unique Selling Point (USP). Audience Interaction – Create contents that draw people to engage with it. RECLAIM is a Product (Sports Insurance) created by an established Germany Insurance Company, known as Lonpac Insurance. It is created for sports athletes. Athletes are prone to injury due to the nature of their high intensity training or competition, under a huge amount of stress, both mentally and physically. Due to this factor, it is hard for athletes to get insurance coverage for medical treatment following an injury either from training or tournament. 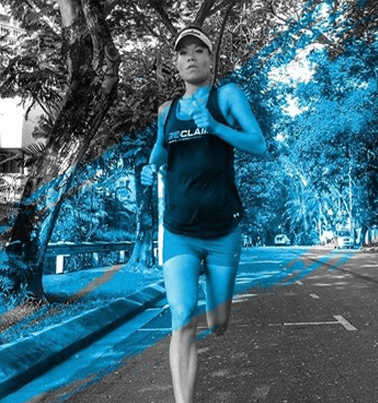 Linora Low is a celebrity fitness athlete in Malaysia. Famous for her role as Radio Host (Mix FM), TV host, Emcee and Product Ambassador (eg: Under Armour, Pharmafreak). Reclaim is endorsed by several famous athletes in South East Asia such as Peter Davis (MMA Fighter), Chris Kha Krang (Vietnam Iron Woman), Shahrom Abdullah (Malaysian Explorer) & many more. The concept for reclaim is for Brand Awareness. As a new product in South East Asia, they need to spread awareness to their prospect, especially athletes. – Product/Brand Awareness – Bring what you have in front of people’s eye. – USP Highlight – If it solves people’s problem and its unique, what are you waiting? – Audience Interaction – Spark their interest with some creativity, they will engage. We guarantee to give our very best and provide your business a value for money digital content services! Escape is the Mobile Apps of Celcom. Celcom is one of the Leading Telco Company in Malaysia, providing the largest mobile and high speed internet coverage throughout Malaysia. Celcom is owned by Axiata, one of the leading telecommunication company in Asia, with controlling interest of 6 mobile companies including Malaysia, Indonesia, Bangladesh, Sri Lanka, Cambodia, and Nepal. 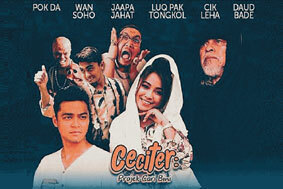 “ Ceciter Projek Cari Bini ” is a 13-Episodes-Short-Movie, produced for the mobile apps platform (Escape) and also can be accessed via Escape Website Portal. In english, the movie title can be direct translated to ” Story of Wife-Searching Project “. The genre is comedy/humor with the main focus is Apps Install and User Retention. This is one of many value added services by Celcom for dedicated for its user. People can enjoy watching exclusive contents anywhere in Malaysia at anytime on their smartphones or tablets. Website/Apps Content – Provide quality content for your visitors/users. Apps Install/Usage – Lure or reward those who install and use your mobile apps. User Retention – Keep them active by consuming content on your platform. As a digital content provider company with more than 20 years of experience in the creative industry, there are lots of concept that we can come up with, to suit your need and address your concern. We prefer to join the brainstorming session before the making of any online content with our clients. We believe working together using two-way communication is vital for a successful online digital content. 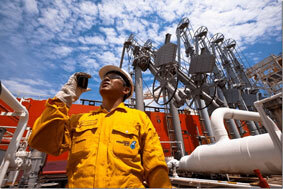 Petronas is the Malaysia National Oil and Gas Company founded in 1974. Its the only Malaysian Company ranked among the largest corporation listed on Fortune 500 Company globally. Famous for its iconic former world tallest twin tower building, the Petronas Twin Tower and its role as the main sponsorship of the Mercedes Formula 1 team. Petronas is the largest petrol & diesel fuel station operator in Malaysia with over 20,000 stations nationwide. Petronas Safety Video is a Safety Promotional & Educational Video created to help educate Petronas ground workers regarding the standard operating procedure (SOP), potential hazard at workplace and related safety issues. Worker’s safety and health matters are the responsibility of employer under the Malaysian Occupational Safety & Health Act (OSHA) 1994. The main focus of this video is for Education of Safety & Health at workplace. Educational/Awareness – People remember better with video compared to photo. Corporate Video – Let the world know what your brand/company is all about. Multi-language Procedure – Create your standard operating procedure/tutorial with video. We guarantee that the quality of content that you are getting will always surpass the price tag you have in mind. We will give our very best, lets work together! Engear, our ongoing joint venture project for Digital Content of a Youtube Channel, 100% produced by us. This is a modern Automotive Youtube Channel, hosted by the awesome Mr Shamsul (Funtasticko) started in 2017. We realized there is a huge gap in terms of content quality and facts delivery, in the online automotive industry, here in Malaysia. So we have decided to capture a segment of the market, targeting the middle aged population by blending a concept of versatile, not-too-serious kind of presentation with top quality video editing. And before we know it, the response is OVERWHELMING !! We hit 1000 subscribers in 3 months time and non-stop comments from the viewer. Engear is a Serial Digital Content for a Youtube Channel. Our first episode we reviewed Honda BRV, newly launched in Malaysia when we started this project. We also reviewed motorcycle, high end cars and more. Watch all of the awesome episodes on Youtube! Leave us a comment, we love to hear your feedback. The main focus of these automotive videos is to produce interesting & fresh content on Social Media, used both on Facebook and Youtube. Youtube Branding – With millions of youtube viewers daily, you need to be here! Exclusive Online Content – Content for online members eg: Subscription based. Social Media Influencer – Eg: Product and services online review, Viral Videos.